Congratulations to the team at Frank Faster House residential care home in Theydon Bois, Essex, for being shortlisted for a 2018 Essex Care Sector Award. The Awards, named the ‘The Prospers’, celebrates the best of care in Essex, demonstrated through innovation, achievement and outstanding contribution. The Awards, supported by Essex County Council, are open to all sectors of care – Frank Foster House, rated ‘Outstanding’ by the Care Quality Commission, offers residential care for the elderly, including those affected by dementia. Frank Foster House Home Manager, Cheryl Wright, said, "We are delighted to be nominated for the Prosper Awards! We all strive to provide the best care service and quality of life for our residents, so it’s fantastic to be recognised and considered for an award." We wish the professional care team at Frank Foster House, part of the Runwood Homes group of residential care homes, who provide 24-hour expert care to older people, including those who are living with dementia, the very best of luck at the awards gala where the winners will be announced, which takes place on 4 December at the Chelmsford City Racecourse. 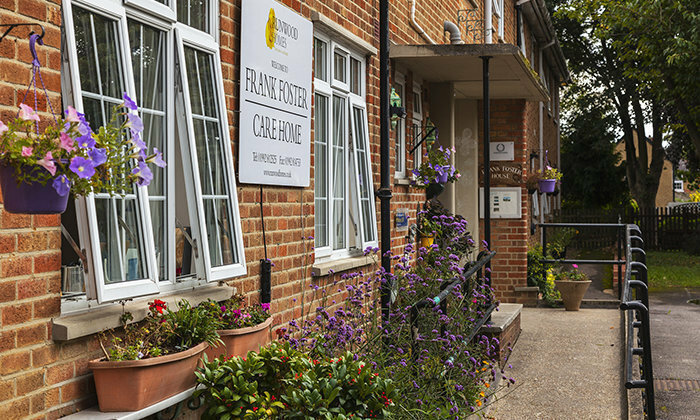 Frank Foster House in Loughton Lane, Theydon Bois,is an 80 bedroom home, chosen by residents and their families as one of the top 20 care homes in the East of England. Frank Foster House is open to local authority places as well as self-funding clients. Please click here to visit the Frank Foster House web page.